Mallorca is always a firm favourite with celebrity holiday-home buyers. When it comes to finding a place that provides beauty, tradition and tranquillity mixed with luxury living, beautiful people and pumping nightlife, the magnificent Spanish island of Mallorca wins every time. Robert Graves first cemented Mallorca’s image as a fashionable holiday hub when he set up home there before the Second World War. He described the island as ‘paradise’, and ever since celebrities have followed in their droves, with many snapping up second homes away from the bright lights of the paparazzi. The list of famous glitterati visitors extends far and wide with the likes of Paris Hilton, Sting, Joan Collins, The Beckhams, Tom Cruise, Brad Pitt and Gwyneth Paltrow having been spotted holidaying on the island while residents who have succumb to Mallorca’s charms include Michael Douglas and Catherine Zeta-Jones, unofficial ambassadors for the island, who own a luxury house in S´Estaca, and Boris Becker who has a £10 million estate in Arta. Super model Claudia Schiffer has described Mallorca as “the most beautiful place” that is “idyllic, romantic and peaceful with an amazing coastline, wild mountain landscapes, friendly people and excellent food” and bought an entire mountain, building a £6 million paparazzi-proof lavish hilltop estate built in Camp de Mar. Tourists who like to stay longer and visit more frequently, especially the rich and famous, have helped to keep the real estate industry thriving in Mallorca. The relatively stable climate of Mallorca along with the quality of life on the island has long been a popular place to invest in property and has kept property prices well above average. Taylor Wimpey de España who recently received an 86% customer satisfaction rate for 2011, are providing the perfect opportunity for potential investors to view their luxurious yet affordable fully furnished ready to move into properties in Mallorca at their show home event until the 15 September 2011 with properties such as El Puerto II, Cala D’Or and Pollentia Mar in Puerto Pollença open to prospective buyers. 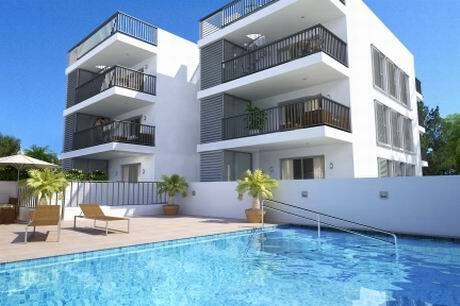 El Puerto II consists of two bedroom apartments located on the south east coast of the island, very close to the stunning celeb hangout of Cala D’Or marina costing from just €177,000 with furniture included. With 3 communal swimming pools available these properties are surrounded by outstanding natural beauty offering various activities such as water sports, biking and golf in the local area. 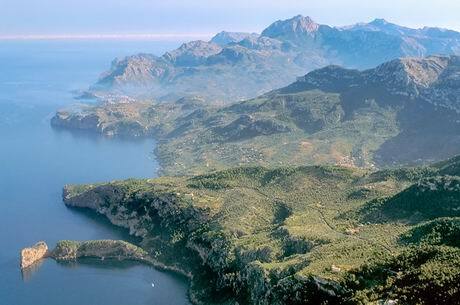 Pollentia Mar located in the seaside town of Puerto Pollença on the north-east coast, within easy reach of the UNESCO listed Serra de Tramuntana mountain rangeand Pollensa’s famous Voramar promenade, priced from just €265,000. As a single block of apartments Pollentia Mar has a communal area, swimming pool and private parking with an abundance of facilities nearby as well as offerings of peace and quiet and beautiful views.